Without giving anything away, I will say that I thoroughly enjoyed his back story, his personality and his lightsaber duels. JJ and crew managed to surprise me several times – and not in gimmicky weird ways. So today, in honor of having FINALLY seen the movie (twice, at this point! 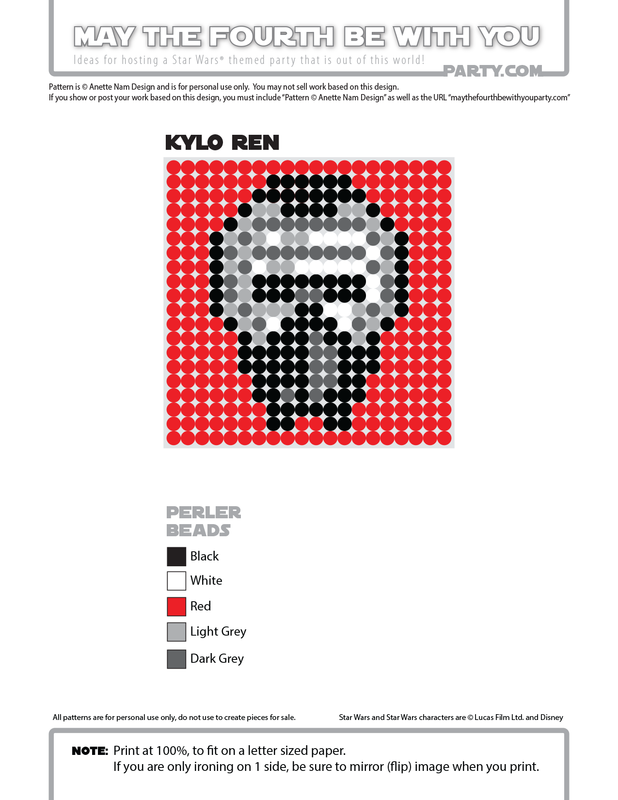 ), here is the seventh of our The Force Awakens patterns, and #36 in the Perler bead/cross stitch/Lego/pixel/mosaic series.